While the #MeToo movement has been spreading like a wildfire in India, many victims in the industry have been outspoken by the movement. It has been offering strength to speak out the truth against many well know celebrities. During a media interaction ahead of his film Jack & Jill, Arbaaz Khan was asked about his opinion about the on-going movement. He also mentioned that he is in total support of the movement and he is completely against the false accusations made by people. He said, "any kind of exploitation against women in a workplace or anywhere is obviously not acceptable. Any kind of force exhibited on anybody is not acceptable and obviously, there has got to be justice done to any of these women who have been victimized. It is not right to exploit anybody. Yes, that is how it should be and Yes I support this movement." Further, adding to it he also said, "right now there is kind of an atmosphere wherein the one who is right needs to get justice but at the same time the movement should not be exploited and misused and there should be no agenda and motive behind it because I have seen that people don't even have the patience to listen to another side of the story or let him fight his legitimate case. "But people directly enforce the verdict which affects the people's lives and no one would want to work with them. Even after a person has committed a crime he has to suffer the consequences and accept the jail. After that person comes out he is given a chance to live his life and change himself. But in the industry, there is kind of a social boycott, your whole life no one would call you even if you are not guilty even if you are innocent and I don't know what is going to be its fallout. While talking about being in support for the #MeToo movement he said, "Decisions are also being made hasty. Which is going through a lot of changes and things are getting backtracked. Unfortunately, if you accuse someone and if it is proved it served your purpose but if by any possible reason it was fake the one who has accused does not get affected because there is no law against making false accusations. It is necessary to see if the accusation being made are true because an innocent man should not suffer. "I am completely for this movement and who doesn't want a work atmosphere to be conducive and safe for everyone, not just women, and you should not be threatened by anybody. And according to me, #MeToo was supposedly started for power being exhibited in a workplace. And you never know if someone wants to sue a person unnecessarily and after 10 years he reveals that I wanted to sue this guy and the accusations made were not true, you've already finished his life to be very careful with your accusations. respect this movement respect others feelings but act accordingly." 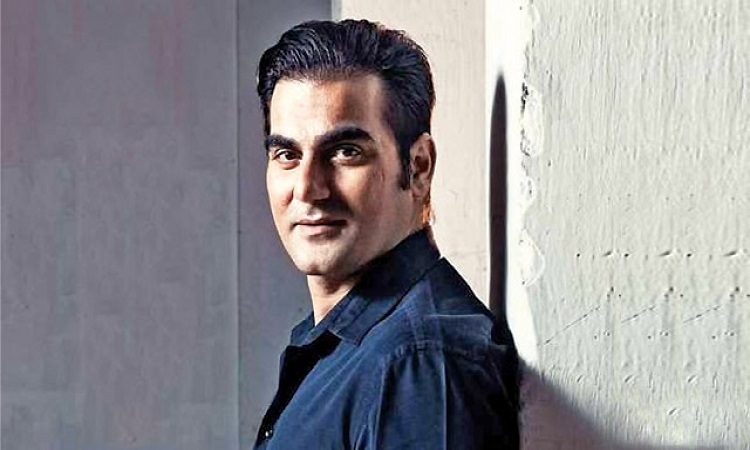 On the work front, Arbaaz is currently working for his upcoming film Jack & Dil. Salman and team landed in trouble for damaging antique figurine! It's 'Dabangg 3' time for Sonakshi Sinha!